The Spring Vintners Festival Grand Tasting is this Saturday from 1-4 pm at River View Park in Buellton. 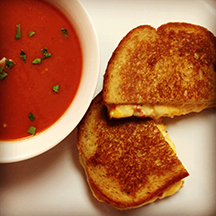 After the festival come to the Bedford tasting room for rustic tomato soup and grilled cheese sandwiches in the courtyard. 5-7 pm. $15 includes tasting or glass of wine. $10 wine club and Vintners Visa guests. We will also have a variety of tomato plant starters for sale, courtesy of Windmill Nursery in Buellton. You are currently browsing the Bedford Winery blog archives for April, 2016.